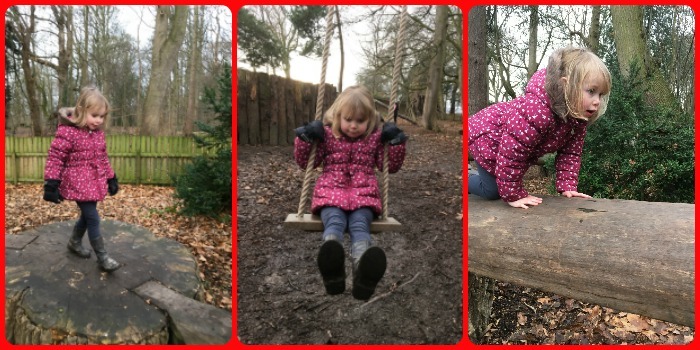 Last weekend, the kids and I spent a curious afternoon of adventure on the Alice's Wonderland Trail at Erddig. 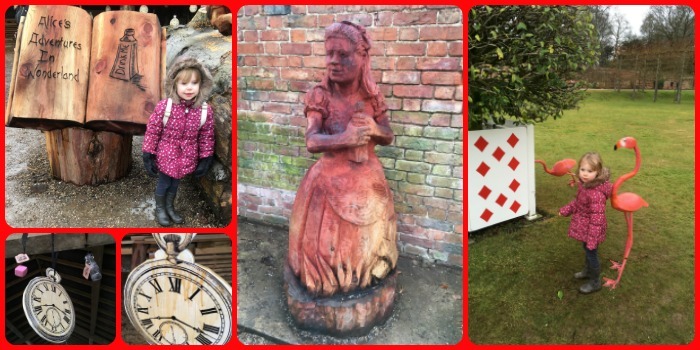 To mark the anniversary of Lewis Carroll's death and to coincide with their Alice's Adventures in Wonderland Garden Trail, Erddig (a National Trust property) was open to all for free last weekend. Therefore I decided to take the kids along for a few hours as I discovered that even though Erddig is in Wales, it is just half an hour away from our new home. I was a bit worried how I'd manage on my own as Mr MoaB was working, but I'm so glad we went as I was so impressed by the Trail. There was so much to see and do that it kept Little Miss A thoroughly entertained the whole way around. On arrival we picked up the Guide book and then Little Miss A was immediately off exploring the various Alice themed elements. 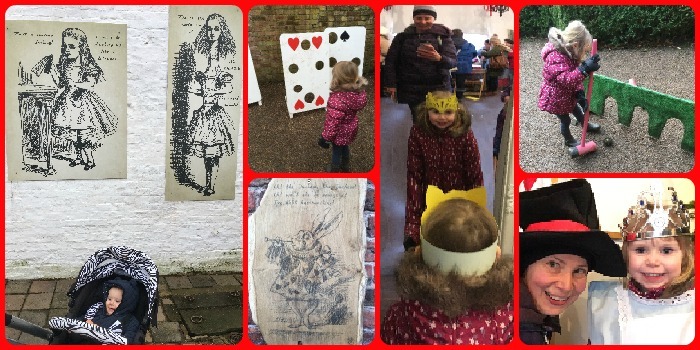 Along with sculptures, there were so many different interactive elements along the route including a shadow puppet show area, a dressing up area, giant card ball games and flamingo croquet. Little Miss A was in great form and wanted to have a go at everything which was such fun! There were also lots and lots of fun photo opportunities! Part way round the Trail we found the Natural Play Area and Little Miss A was straight up and over everything! She doesn't really need me to hold her hand anymore but there are occasions where I prefer to stay very close by! If you are visiting soon, then be warned that this area is particularly muddy and it is quite hard to manoeuvre with a pushchair, but if you've got an adventurous youngster, then this is a great space to let them run around. “Yes, that's it! said the Hatter with a sigh, it's always tea time.” Of course, there had to be a Mad Hatter's Tea Party and this didn't disappoint. There was a table laid out which all the kids enjoyed taking a seat at. There were lots of teacups and some pretend cakes so Little Miss A loved having tea. I'm so glad that I spotted this activity and we went along. It was a great few hours and one of the best Trails we've ever done with so much to do and see. It was just the right sort of distance for Little Miss A to walk around and I didn't have too much trouble with the pushchair on the Trail as most of it was on good paths. 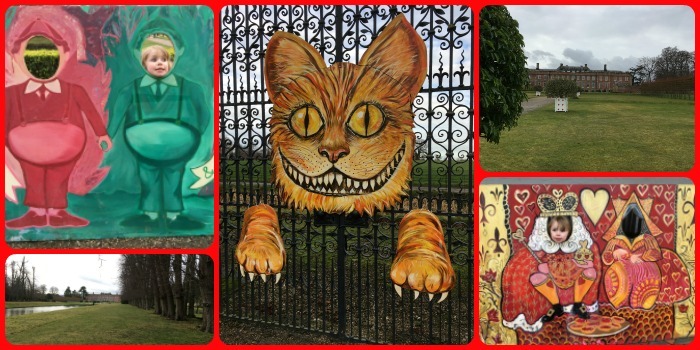 The Alice in Wonderland Trail is on until 29th January and it's definitely worth a visit if you can. We took advantage of the free entry on the day we went, but entrance fees do apply if you aren't a National Trust member. 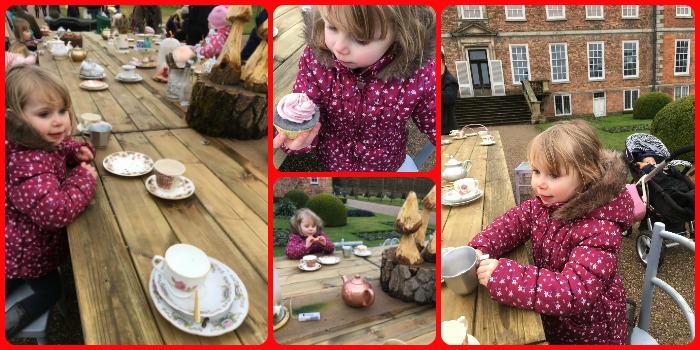 See the National Trust website for full details and for more information about Alice's Adventures of Wonderland at Erddig.